‘Key-Osks’ – “prints” keys, stores fingerprints « Adafruit Industries – Makers, hackers, artists, designers and engineers! If you find yourself losing or misplacing your keys all the time, a new “digital keychain” could be for you. 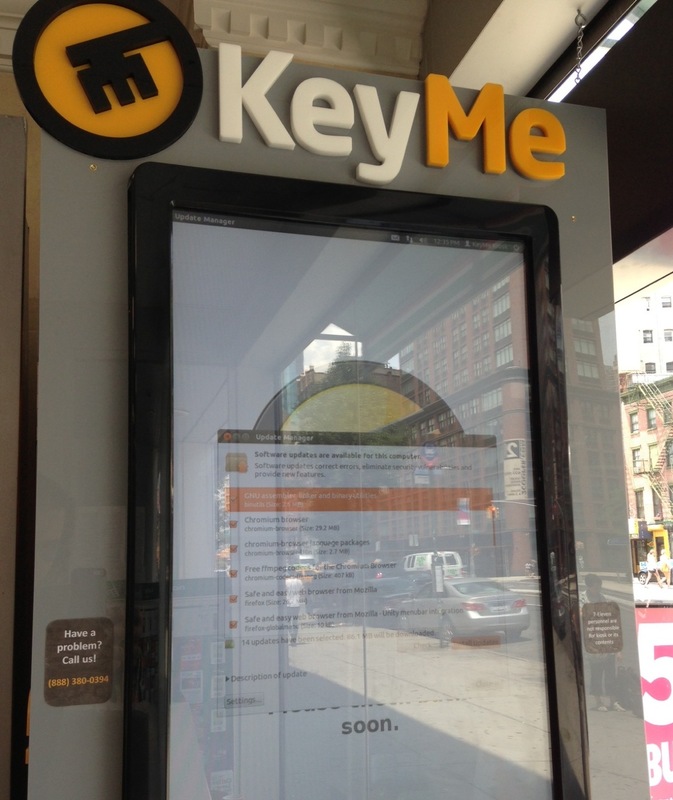 Five “KeyMe” kiosks have popped up in convenience stores in Manhattan, offering New Yorkers a back up in the event they need a key made in a pinch. The key-osks are set up in 7-Eleven stores, including the one on 84th Street and York Avenue, and are the brainchild of Greg Marsh. “My fiancée sort of got locked out all the time and that kind of coincided with me starting it,” Marsh told CBS 2′s Emily Smith on Tuesday. The system works by putting your key in, selecting a design and typing in your e-mail address. In just about a minute and for $20, a copy of your key is dispensed. Pictured above, we wanted to try this out (we found one in NYC). It was not working (Linux system update took over the screen).